There are many types of finishes that can be applied to the surface of a metal. Some are used for the purposes of decoration, while others can be used to prolong the life of the base metal. 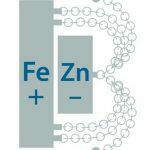 Within this vast range of metal finishes, the application of zinc is recognised for its special characteristics that it can provide, corrosion protection being at the forefront. A batch process in which prepared steel is immersed in molten zinc at around 450°C (galvanizing of fabricated articles in accordance with BS EN ISO 1461). A metallurgically bonded coating of zinc-iron alloy layers is formed with an outer layer of pure zinc. 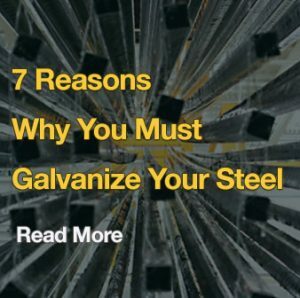 A typical coating thickness is 45-85 μm but thicker coatings can be produced on structural steelwork by grit blasting the steel prior to galvanizing. A coating thickness of up to 140 μm may then be specified. Use of a high silicon steel enables a still thicker coating of 200 μm to be specified. Hot dip galvanized coatings are simply specified, reproducible and easy to inspect: if the coating looks continuous and sound, it is so. The thickness can easily be checked without damaging the coating. 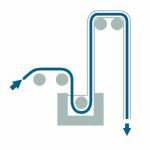 The continuous hot dip galvanizing of steel strip (EN 10346), wire (EN 10244-2) and tube (EN 10240) involves passing through molten zinc in an automated plant. Although alloyed with the base steel, the coating is generally much thinner than batch galvanizing (typically 7-42 μm on sheet, 5-30 μm on wire and 25-55 μm on tube) and is predominantly a zinc layer on the base steel. The hot dip galvanized sheet may be formed into a finished item as part of the production process. Grit blasted steel surfaces are coated with droplets of semi-molten zinc sprayed from a special gun fed by either zinc wire or powder (EN ISO 2063). 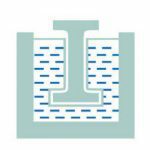 The coatings aren’t alloyed with the base steel and while the coating can be built-up to the required thickness (typically 50-150 μm) they are always slightly porous, requiring an organic sealant to be applied. The coating is always sensitive to shortcomings in the preparation of the steel and require a level of skill in their application, however they can not normally be applied to the inside of tubes and hollow sections. A finishing process by which suitably prepared small components are tumbled in zinc dust at an elevated temperature below the melting point of zinc under appropriate conditions to develop a coating (see EN 13811:2003 sherardizing). Coatings are relatively thin (typically 20-30 μm) but are metallurgically bonded to the base steel and closely follow the contour of the steel parts. components are tumbled with zinc dust which is impacted on to the steel surface by glass beads to form a coating which is typically 5-25 μm in thickness. Finishing process in which clean steel surfaces are coated using paints containing a high proportion of metallic zinc dust particles to develop a film which can conduct electricity. The formulation and application of the paint needs careful control for satisfactory performance. Paint films are comprised of zinc particles or flakes and other components, that may be sensitive to poor surface preparation. Coating thicknesses may vary significantly from 10-120 μm. 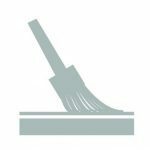 A zinc salt solution is used to electrolytically deposit a layer of zinc on a cleaned steel surface. Acid or alkaline electrolytes (some may contain cyanide) can be used (EN ISO 2081). 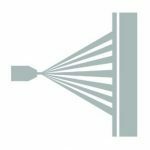 Only very thin coatings are economically feasible (typically <10 μm) and coatings are generally uniform on geometrically simple shapes. For a given environment, the life of a zinc coating is directly proportional to its thickness. 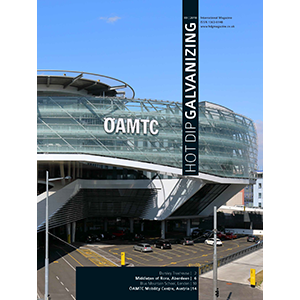 Although zinc coatings can be applied by several different processes, only hot dip galvanizing provides a continuous, tough, metallurgically bonded coating of substantial and uniform thickness inside and outside. 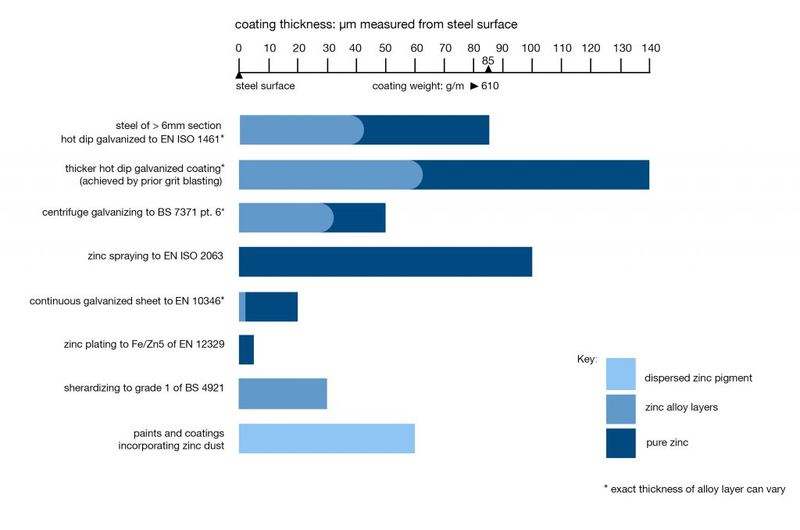 The bar chart below shows how widely the thicknesses of zinc coatings can vary and emphasises the need to be aware of those which may not give the lifetime and performance required. It is also important to ensure that all parts of a steel structure have equivalent protection, since premature failure of the coating on small parts (e.g. fasteners) can result in major structures requiring maintenance of the metal finishes long before it would otherwise be necessary.